Applications close 31 May 2019. 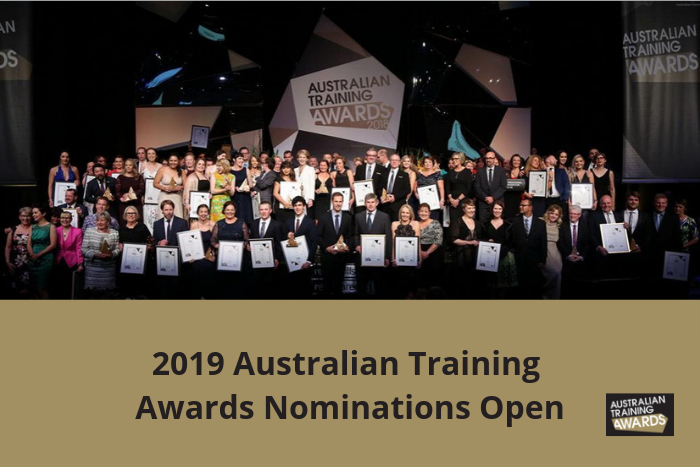 The Australian Training Awards are the peak national awards for the vocational education and training (VET) sector, recognising individuals, businesses and registered training organisations for their contribution to skilling Australia. The direct entry awards categories are now open for nominations. Applicants may now have the opportunity to reach the national stage in Brisbane in November 2019 and gain Australia-wide recognition their outstanding practices in vocational education and training. Click here for more information on how to apply/nominate.